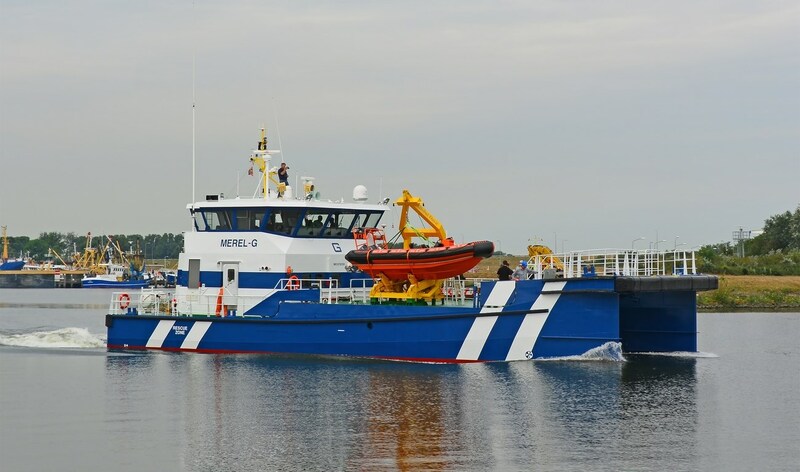 Home › Crew Supply Vessel › Fast Crew Supplier › Fast Crew Supplier 2610 › Fast Crew Supplier 2610 "Merel-G"
Damen Maaskant Shipyards Stellendam delivered the first Fast Crew Supplier customized with offshore oil and gas stand-by capabilities ever. The standard Damen FCS2610 is selected by Rederij Groen Scheveningen and is customized into a “special”. She haves two primary functions; semi-stand-by activities and crew transfer operations to and from Wintershall platforms.